Sign up for Broadjam today to follow Kokane, and be notified when they upload new stuff or update their news! Kokane has been in the music industry over 20 years, since the dawn of "Gangsta Rap" He has appeared on numerous multiplatinum records & is considered to be the most featured artist in the music industry. Well with all that being said, Koka has reinvented himself once again. This West Coast veteran continues to Drop nothing but heat! Koka, just recently released "The Legend Continues" @iTunes via his own label Bud E Boy ent. He also teamed up with the legendary Dj King Assassin who's works include 2pac, Wyclef, Ice T & many more. 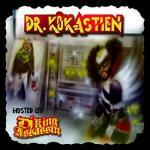 The dynamic dual (Kokane & Assassin) recently put out a free DL mixtape/Album called "Dr Kokastien" hosted by Dj King Assassin via www.budeboyent.com. Dr Kokastien has already accumulated over a million DL's in less than 2 weeks, with a strong social media presence. Kokane has also debuted his new album "The Legend Continues" setting it off with his first single called "Doja" ft KMG and has over a quarter of million views on You Tube, & climbing. The 1st Single off "Dr Kokastien" is a song called "Sewed Up" produced by King Assassin, which has over 1 million views on You Tube! In addition , Kokane is gearing up to release a single "Grew Apart" (Aanisah ft. Cavell) on iTunes, from his daughter Aanisah C Long's upcoming album "My Best Has Yet To Come" & he is also releasing a full fledged album with Australian sensation " Traffik Kennedy" (The New Frontier). Also be on the look out for Bud E Boy's developing artist "Babee Loc" & "GDDaBeastBoy. Stay tuned for more exciting news on Jerry longs (KOKANE) Bud E Boy Ent Movement.